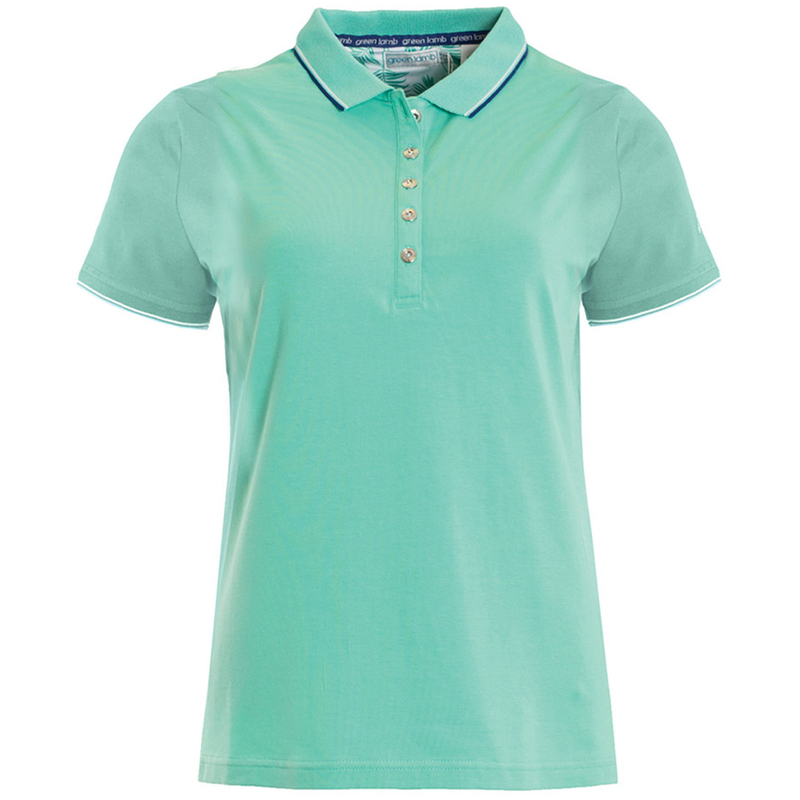 This sporty styled polo shirt offers a great performance out on the golf course. Constructed with luxurious feeling cotton material with added stretch, which give the wearer increased mobility through any athletic movements associated with golf. 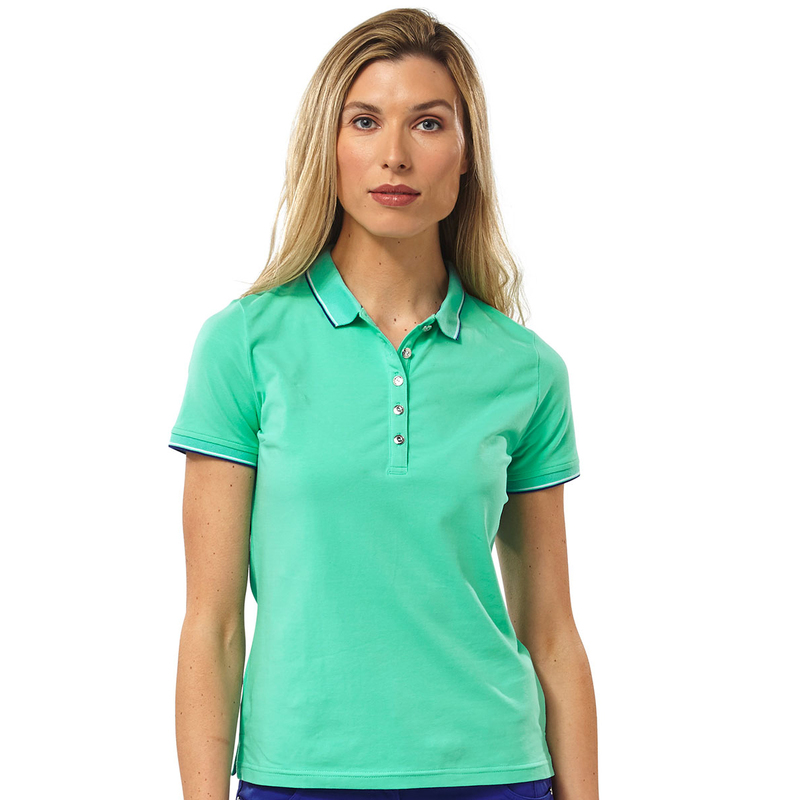 This premium shirt is highlighted with shiny silver buttons, and features a Green Lamb button logo on the left sleeve.